The Lake Oswego and Lakeridge boys soccer teams may not have always gotten the league results they wanted in 2018, but it wasn't for lack of talent. Between them, the Lakers and Pacers boys teams saw 11 players earn all-TRL honors, with Lake Oswego landing six players on all-TRL teams and Lakeridge five. Lake Oswego senior forward Chase Hoffinger was the lone first-team selection from Lake Oswego and Lakeridge; he helped the Lakers to a 1-4-1 finish and a fifth-place tie in the 2018 TRL race; Lake Oswego then advanced to the second round of the state playoffs before being eliminated. 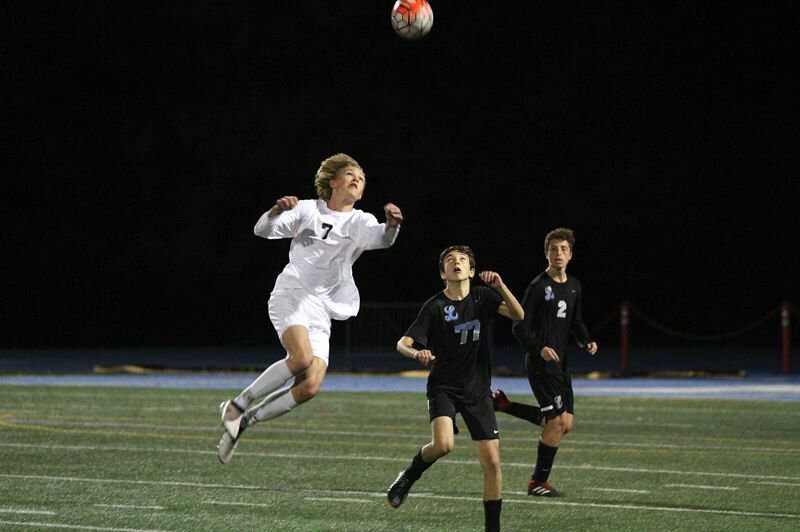 "(Hoffinger was) an exceptional player who scored some fantastic goals over the course of the season," said Lake Oswego coach Fraser Morrison. "Quick and physical, Chase was able to mix it up when needed and also has an eye for defense-splitting passes, too." Laker sophomore forward Eric Seaman won a berth on the all-TRL second team, while honorable mention picks included senior defenders Chris Anissian and Aaron Rudder, and senior midfielders Javas Wray and Sidarth Daga. "Eric Seaman worked tirelessly on behalf of the team and acquitted himself well wherever he was asked to play," Morrison said, adding that "Anissian is another player who worked for the team whatever position he was asked to play." Rudder, Morrison said, "has an amazing engine and pops up all over the field," adding that Wray was "a skilled player who was most effective playing just off the forward line," while Daga was "an energetic midfield player who covers a tremendous amount of space on the field … (and) has been a hugely positive member of the team the past few years." For Lakeridge, junior defender Adam Sommer and freshman forward Ryan Sze won berths on the all-league second team, while honorable mention picks included senior midfielders Seba Marin-Quiros and Gian Gargurevich, and senior forward Pierce Boucher. Sommer "was a consistent performer all season (who) gave his 100 percent best effort every game," said Lakeridge coach Jason Bell. "(He was) arguably our rock at the back who we could rely on." Regarding Sze, Bell said he "showed class on and off the pitch all season. He pulled the strings in the middle and started in every single game. He's a technically gifted player and has some great years ahead of him." Tigard junior goalkeeper Jackson Cleaver, Tigard senior defender Sajad Al Rikabi and Tualatin senior forward Mario Quiterio shared the TRL Player of the Year award, while Tigard's Angelo Simonetti was named Coach of the Year.